Cowhide rugs are extremely versatile and can liven up any home decor. Hardwearing and durable, cow hide will add a rustic charm to your home for years to come. These rugs come in a variety of patterns and colors and can even be embellished with metallic accents or zebra prints. In addition, cowhide rugs are hypoallergenic and safe for individuals with sensitivities and allergies. A luxurious cowhide rug is a great way to add natural beauty and warmth into your dwelling. Cow hide can also be used in a variety of ways. The most popular way to display these rugs is on the floor, but they can also be used a wall tapestries and furniture throws. A cowhide rug will look amazing in any room in your home. Living rooms, hallways, bathrooms, foyers, and bedrooms can all benefit from the sophisticated beauty of a natural cowhide rug. These unique rugs come in many different styles, colors, and patterns. A traditional cowhide comes in a variety of colors ranging from chocolate brown, black, white, beige, ivory, grey, and tan. Patterns often include brindle, spotted, and speckled varieties. These rugs can also be purchased in stylish animal prints such as zebra and leopard patterns. Metallic cowhide is also available for the homeowner who enjoys a unique and eye-catching piece of art. In addition to being naturally stylish and sophisticated, cowhide is extremely durable and can last for years with the proper love and attention. Robust and easy to care for, cowhide contains natural emollients that keep stains away and protect the hair fibers. To clean your rug, simply wet the piece and use a gentle soap to blot the area. It is also a good idea to vacuum your rug on a regular basis to keep it looking fresh. When purchasing a rug, allergies can be a concern for many people. Many rugs attract allergens like dirt, pet dander, dust mites, and mold spores. This can lead to itchy eyes, runny noses, and even hives in certain individuals with sensitivities and allergies. Unlike carpet rugs, cowhide is hypoallergenic and will not irritate your nose or eyes. The hair fibers stay flat, don’t shed, and do not attract offending irritants. These natural rugs are also free of harsh chemicals and toxins that can also lead to allergic reactions. 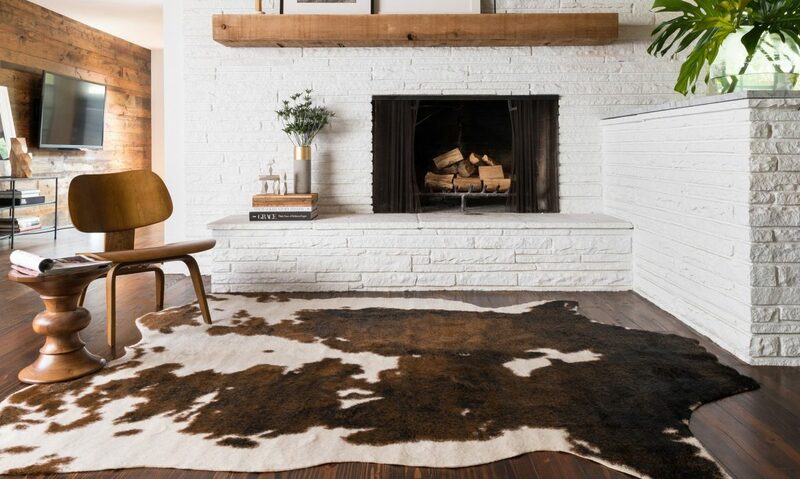 Investing in cowhide is an excellent way to add rustic beauty to your home and make a bold statement. With the proper care and maintenance, these wonderful rugs can last for decades and are perfect family heirlooms that can be passed down to new generations. A cow hide rug is the perfect way to give a timeless touch of natural elegance to your humble abode. Click here for more information.